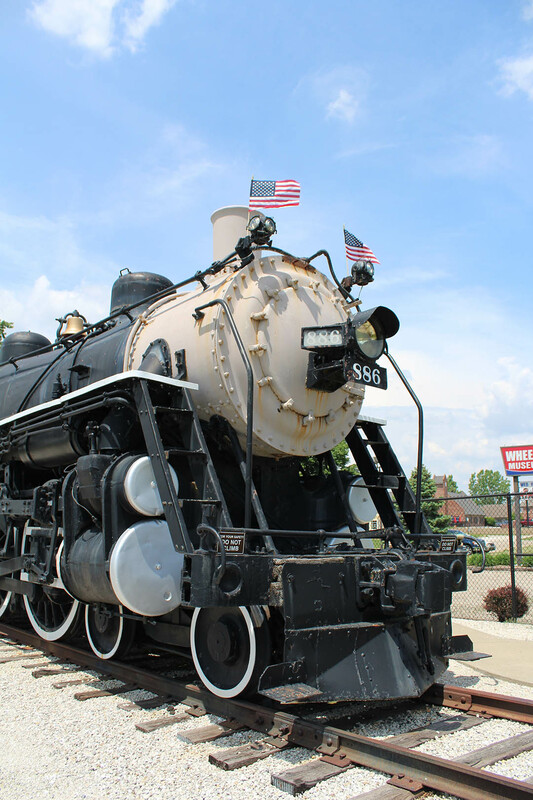 Reproduced with permission from the Streamliner newsletter. 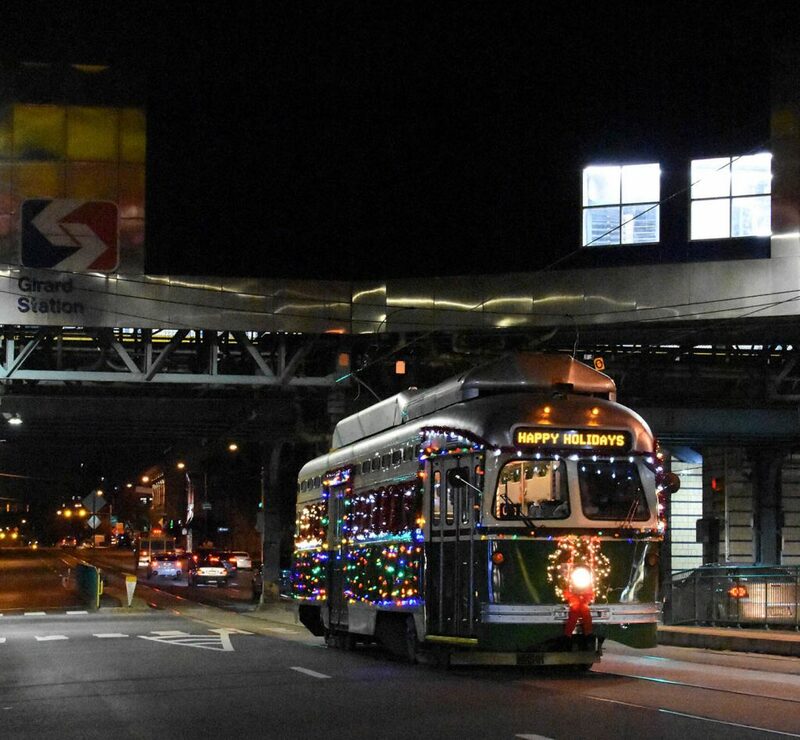 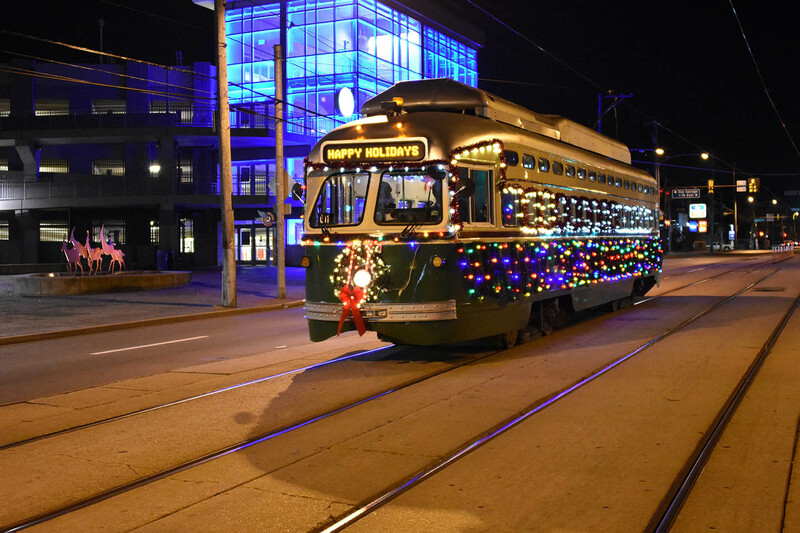 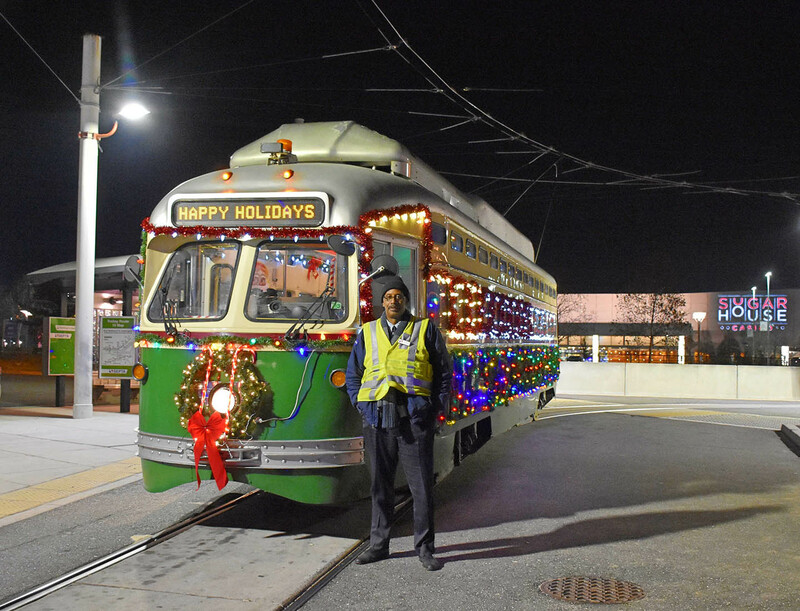 SEPTA Holiday Car, PCC II 2331 has been decorated by Callowhill operator Gary Mason. 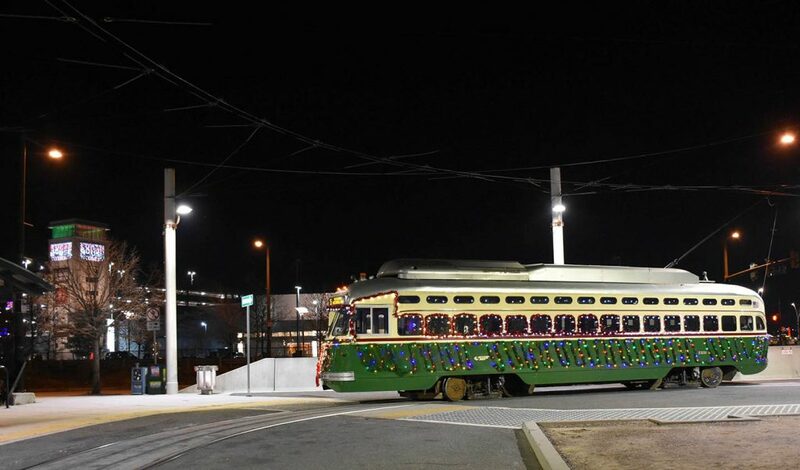 Gary has been decorating trolleys since 1993. 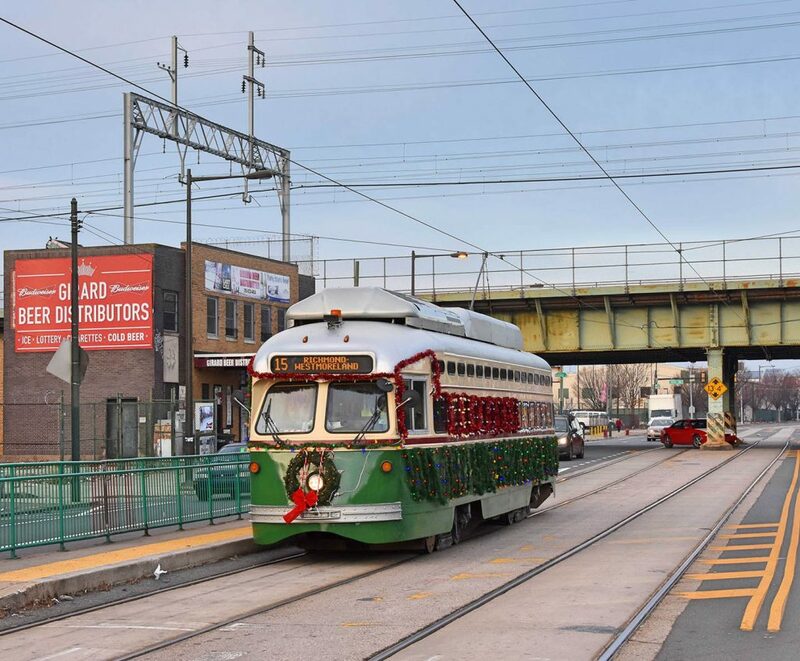 He and the car are at the Delaware and Frankford Loop on December 6, 2018. 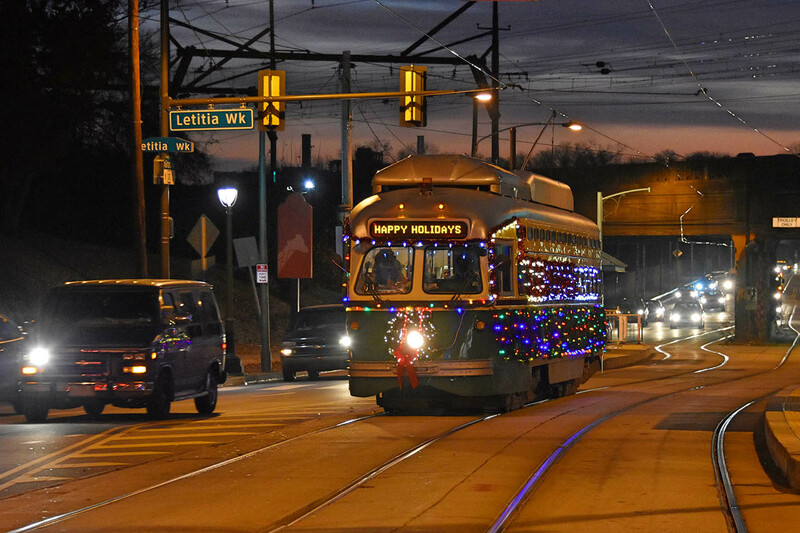 Girard Avenue and Letitia Walk (Philadelphia Zoo).